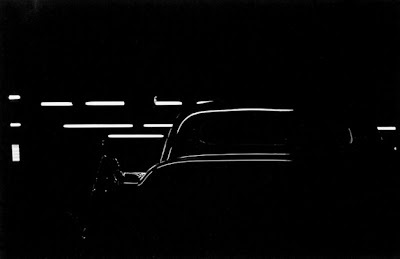 There's an interesting interview here with Julia Dolan which touches on the current Ray Metzker exhibit at PAM. I saw the show a few weeks ago and it's definitely worthwhile. The theme is mostly automotive, but filled in with snippets from various other series like Pictus Interruptus, Sand Creatures, Double Frames, and Landscapes. All in all it confirmed my high opinion of Metzker. In that bygone era which placed image in its rightful place over concept, he was (and still is) one of the leading practitioners, a photographer's photographer. Unfortunately Metzker's show doesn't merit headline billing in the museum. As with most PAM photo shows it's treated as sideline filler, relegated to the basement. The main attraction, announced with 40 ft banners at the entrance, is The Allure of the Automobile, a blockbuster traveling show of antique cars. I suppose the cars are ok to look at. They're shiny. They go fast. Maybe they could even be considered fine art in a design-based commercialized sort of way, even if none had R. Mutt scrawled on the hood. In any case whether old cars qualify as "art" doesn't matter too much. The fact is they sell tickets. Few people will pay $15 to stare at photos in a dim basement, but vintage roadsters? Now the wallet's open. 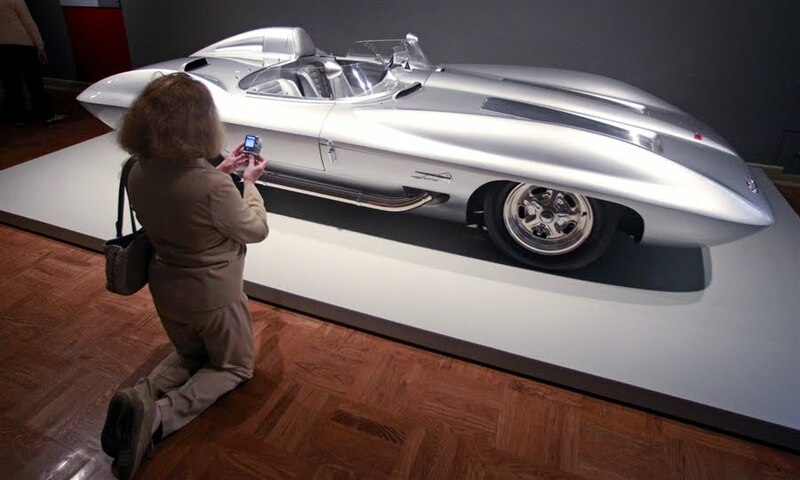 And by the way, while you're in the museum you might want to spend a minute down below with the car pictures. My guess is that PAM had the vintage auto show on the docket, then looked around for whatever related photos they could find to supplement it. Coming from Philadelphia, Dolan naturally thought of Metzker. But make no mistake, the show never would've happened on its own. It's an offshoot of the main event, just as photography in general is still viewed as an offshoot of fine art. 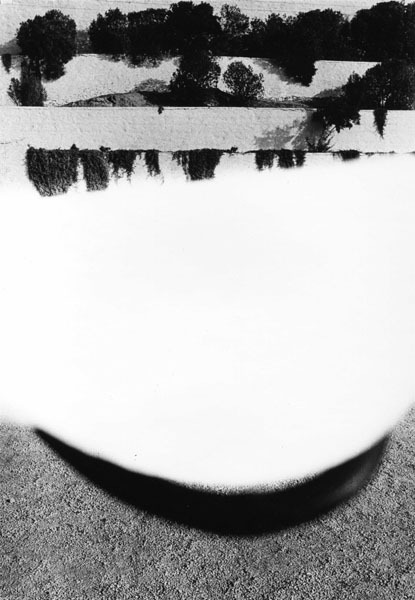 To the extent that it works, it's due to Metzker's extraordinary vision. He's a rare talent, someone who could shoot an old napkin in the right light and make it interesting. He shot in cities during the 50s and 60s (mostly Chicago and Philly), and so vintage automobiles naturally creep into many of his images. Often they're the main subject. But I don't think Metzker was necessarily after "car" photos, and I doubt he ever imagined his photos would be grouped together under an antique auto banner. Instead his photos seem more concerned with the traditional problems. Light, form, shadow, serendipity. If a car happened to get in his way that was fine but the main thing was the photo itself. Whether photographing a city, a landscape, a sand creature, or whatever, he shot first and and asked questions later. That's my guess anyway, based on his images. I don't mean this to sound like a complaint. 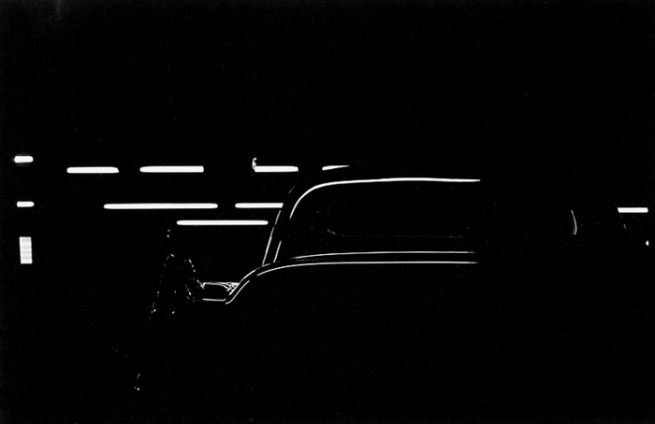 I was fully stoked to see Metzker's photos. Whether it takes an auto show or an elephant to bring them around I don't care too much. But the show should be a reminder to photographers of our place in the grand scheme of things. In the perception of most, we rank slightly below an old skidmark. Good point about the reality of photography’s place in the art world. It’s kind of odd since not long ago the likes of Wall, Struth and Gursky were headliners in the contemporary art world and photography dominated to such a degree that abstract painting almost disappeared from the scene. But the key is that it is ‘contemporary art’ and that has a much smaller audience than the more accessible and popular classical and cultural art, which would include classic cars. It’s good to see Metzger get his dues anywhere these days. As my 50th birthday approached I wrote Ray Metzker to tell him how much I admired his work and to ask for his advice. In 30-plus years I had accumulated quite a bit of work myself, and I was beginning to wonder: what is a photographer's responsibility to his/her photographs? I was surprised and delighted when Ray contacted me a few weeks later. In answer to my question he said "keep making the work" and "get it out there" -- advice I still follow. He has written this about his own process: The wonderful thing about being a photographer is the element of discovery. I feel I’m on a voyage. I don’t have a preconception, but that is not to deny the all of accumulated experience that feeds intuition. I need to be surprised, to find a jewel. Keep making work. Get it out there. Good advice.